My potted pink Euphorbia Milii, 8 months old now, grow from cutting stems. There is a wide variety of sizes and color of euphorbia. They have a lot of in different colors, yellow, pink, orange, white, red in varying shades, some are combination of colors. They are also available in different sizes, from cute button-like blossoms to inch-sized flowers. 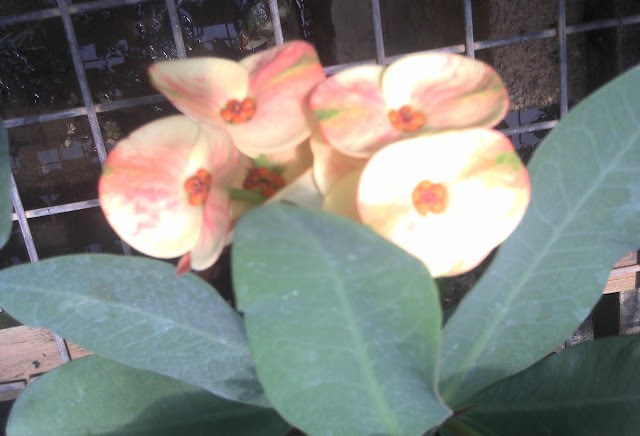 I have planted a few type of Euphorbia Milii before, I like the flowers last much longer than other flowering plants. 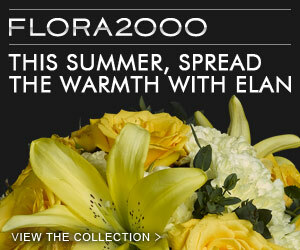 They don't easily wilt, and they blooms abundantly all year round. My first collection of euphorbia plants were from a cutting stem picked up from downstairs, someone left it out side the garbage room, I took it back and planted in pot, it grows till now, almost 1 meter height already. I don’t want it to grow too big, so I multiplied the euphorbia by cutting off the stems from the mother plant, 80% of them survive. I have green fingers. One more thing I realize, the Euphorbia Milii with red flowers are always growing faster than other color. The white and yellow color of Euphorbia Milii plants are not easy to grow, at least for me. One thing I would like to share with other plants lover, the newly planted cutting should not be watered for at least a week otherwise the stem will turn soft and hollow inside. Like most members of the Spurge family, the Euphorbia Milii exude a sticky white sap from any cut surface, it is better to wait for the sap dry first before pushing it into soil. However, It is fun of growing a Euphorbia Milii from cutting stems, and the nice little evergreen is the best gift for your plants lover friends. So if you haven’t tried one, try this easy planting “Crown of Thorns”, just be careful of its pretty big thorns all along its stem, thus its name. There are, however, many other nice Euphorbias, I will hunt for them, and post more about this lovely plant in future. The left is my potted red color Euphorbia, 6 months old. The right Euphorbia plant with red flowers too, but the flowers are slightly bigger than mine. There are many other type of Euphorbia plants on sale in the nursery. Very informative post. Beautiful red flowers. Such lovely flowers and definitely a very informative post for the E Day! Hope you have a wonderful week! That second photo shows that you can show off your flowers very well too. very pretty; don't know this flower at all. On behalf of the ABC Wednesday team, thank you for participating! I thought this flower is hard to grow. It's very pretty though it's thorny. Happy Tuesday! Those are gorgeous. I can never get flowering plants to thrive - so I'm jealous of your collection here. My mother has this kind of flower around her house. It's beautiful! I've been wondering what's it called until I saw your post. Thank you for sharing those info. lovely photos. They are such pretty flowers. These are beautiful except for the thorns. You truly have a green thumb. I love their blooms but I don't like their thorns.. I will follow your instructions and try it! I'm going to try it in cactus compost, so I hope that's right! They are truly lovely - I think the colours of the flowers over there are amazing... so vibrant - particularly the endangered ones I saw at the zoo and bird park! Thanks for posting the Euphorbia plant pics, very impressive. 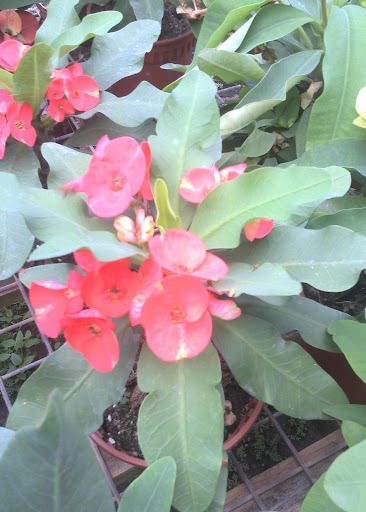 Can you please advise on where to buy Euphorbia plant seeds in Singapore ? i grow Euphorbia plant from stem cutting, not ure where to get the seed. Thank you.